*I apologize in advance for all the photos of my eyeball. 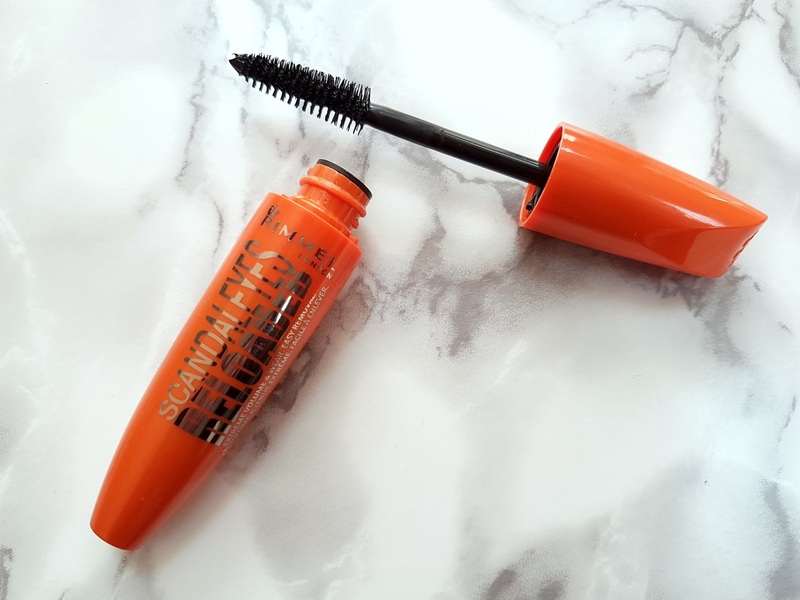 I'll be honest and say that I only picked up the Rimmel ScandalEyes Reloaded mascara because of all the hype surrounding this. And of course because Cara Delevinge's lashes were to die for in the advert, though I'm sure falsies were involved. But seriously, am I really this easily swayed!? 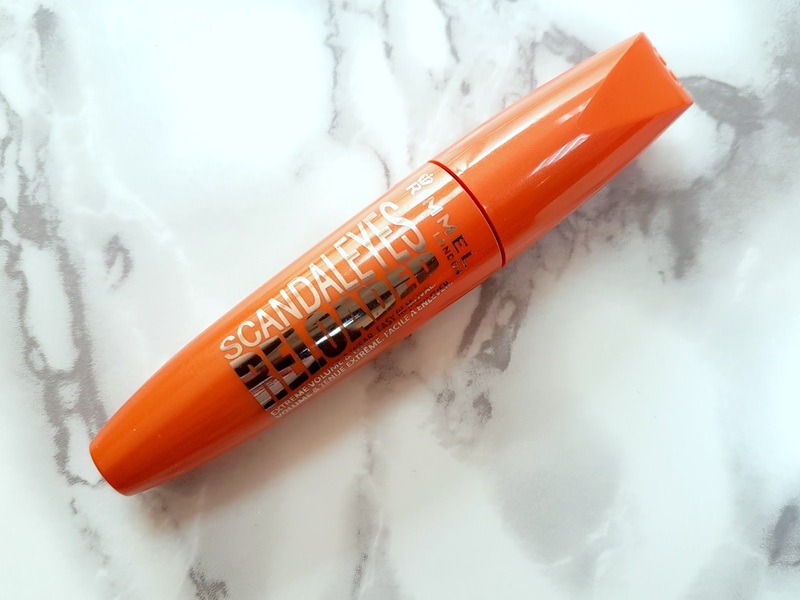 The ScandalEyes Reloaded mascara is supposed to come in two variants (black and extra black) but after searching high and low for the extra black version, I've come to the conclusion that it just isn't available in Kuwait. Also, can I just rant about the lack of knowledge the sales assistants have? I'd picked this up in Debenhams and on asking for the new Rimmel mascara, I was promptly shown everything but the ScandalEyes Reloaded. They just have no clue! The mascara promises to be smudge proof, humidity proof and sweat proof while at the same time being the most easiest mascara to remove. Apparently just warm water will do the trick and yes, after skeptically trying this out, I've got to hand it to them! Its strange how such a long wearing mascara can be a dream to remove! This lasted all day and my mascara looked like it had been freshly applied come evening. It didn't flake or smudge, however then again, I'm not one to absent mindlessly rub my eyes. The mascara brush is huge! 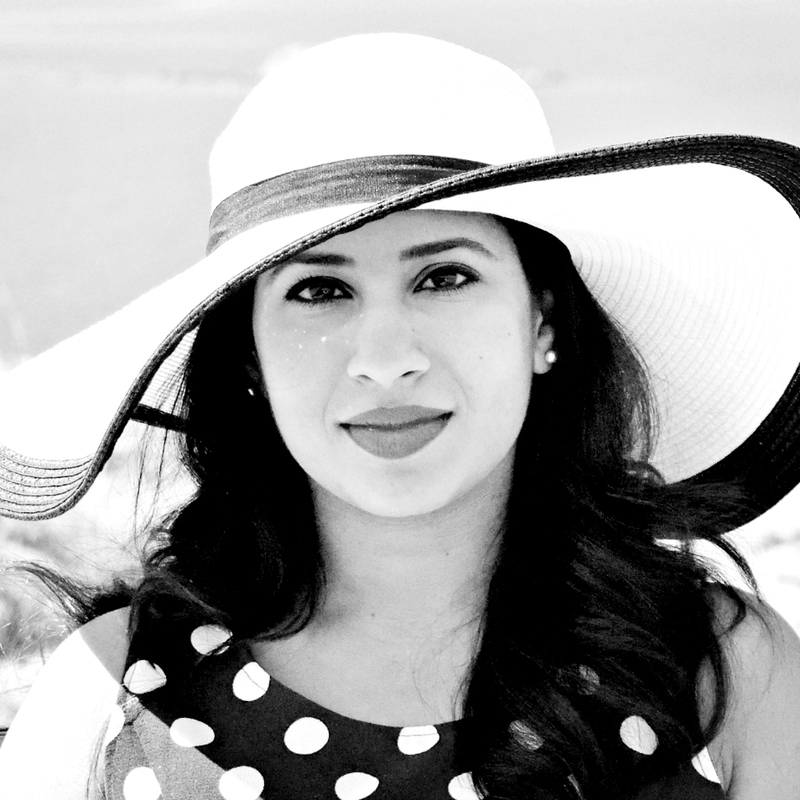 I do however believe that a bigger brush leads to more volume and a more defined curl and I tend to love and gravitate more towards the bigger brushed mascaras. I also love how the brush is made of fiber bristles (I hate plastic brushes and find them to be painful!) and is tapered to really get into those corners. The formula is a nice wet one and so easier to work with compared to those quick drying formulas. Because the formula is wet however, it will transfer easily while you're waiting for it to dry (like on my top lid) but that can can easily be swiped away with a q-tip. 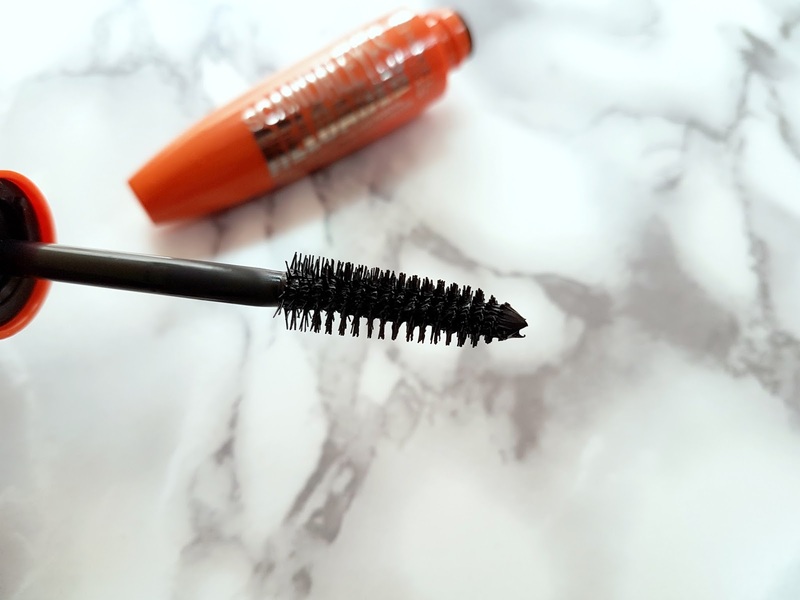 The formula is also fairly lightweight and will not weigh your lashes down. 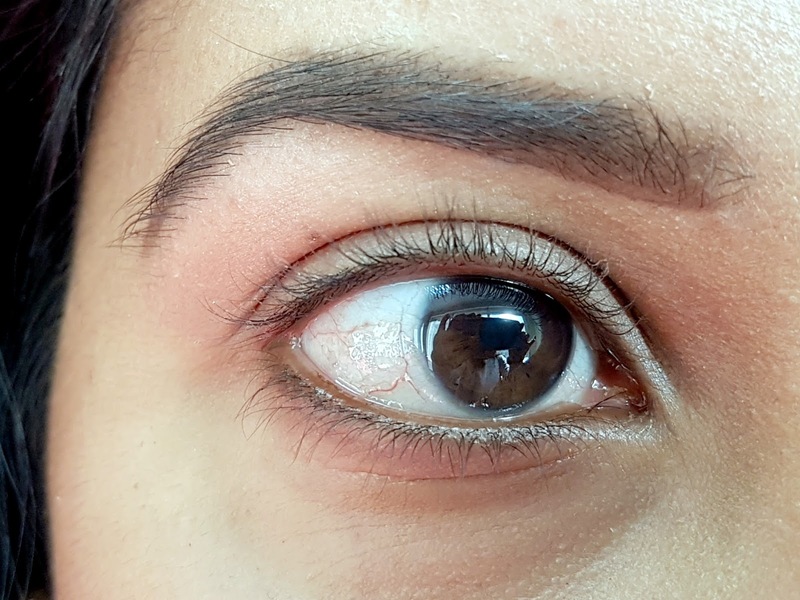 Make sure to add your coats while the mascara is still wet and you'll be left with gorgeously separated and fanned out lashes with no clumping! The stopper works well too to ensure you have the right amount of mascara loaded onto the wand. I have the most pitiful lashes as you can see in the first photo. 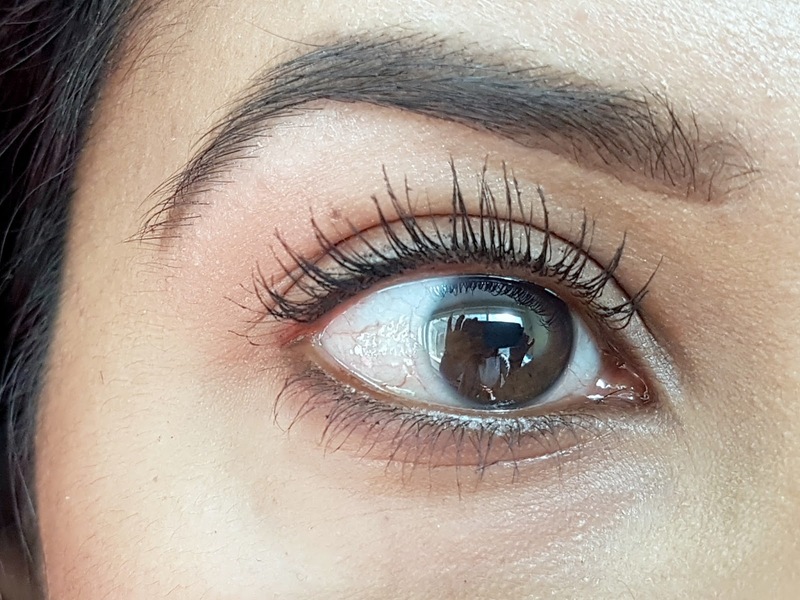 The very first coat of mascara covered each lash beautifully giving me noticeable length, while the second coat really upped the volume. 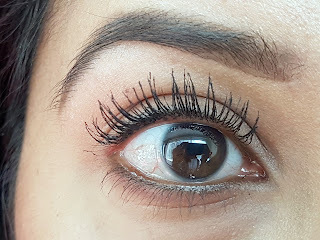 I love just how intensified each lash has become, while still looking natural. Now normally I wouldn't stop here and would usually go on to apply a third coat, but for the sake of this post, I wanted to show what a difference just two coats did to my sore excuse for lashes. At just under 5 KD, there is no reason not to pick this up. I really can't fault this mascara in any way and will definitely be repurchasing. Wow thanks for ur review and pics. I have been looking for good mascara and this one looks promising. Can't wait to try this!